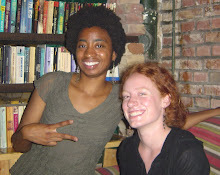 When Angela and I go to meet an artist for an interview we sometimes joke, “you’ll know it is us because one of us is an African American woman, and one of us has red hair. Don’t worry, you’ll find us.” But it is usually just as easy to recognize our interviewees. They look different from the people around them, mostly just from what they are wearing. But sometimes there is something else, maybe the way they carry themselves or the way they interact with those around them. Clearly, the relationship between Chinese education and Chinese Hip Hop is not as simple as “because of China’s approach to education, Chinese youth turned to Hip Hop culture and now they speak out on all pertinent issues.” I think it is more fitting to see the Chinese education system as one of the variables in the setting of Chinese Hip Hop’s development. It is important to know that many of these artists who now stand in front of a crowd of people rapping about their own life, or walk around their city wearing clothes that set them apart from the rest of the population, were taught in school that it would be better if they were more like everybody else. It is important to know that the Chinese education system is something that these young artists refer to in their music, something that they use Hip Hop to express. Check out what some of China's Hip Hop artists had to say on the topic. Shanghai is the place to be for China’s big, summertime Hip Hop competitions. The day after the China DMC DJ Competition, I attended China’s 2008 Battle of the Year (BOTY) Competition, organized by Shanghai’s Caster Dance Studio. Ten different crews from around the country competed. The BOTY is an international breakdancing tournament for B-boy crews, as opposed to individual breakdancers. There are national qualifying rounds, followed by regional qualifying rounds, followed by the Battle of the Year World Finals, held this year on October 18 in Braunschweig, Germany. 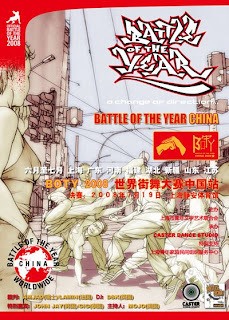 In my opinion, the 2008 China BOTY was a success. The venue was packed with a diverse audience including fellow dancers, families, media representatives, and what seemed to be curious onlookers. The shouts and cheers from the audience were persistent throughout the event, reaching their high point whenever the crowd-favored Shanghai crew took the stage. Each of the crews had six minutes to perform a choreographed number, after which the judges decided which four of the ten crews would move on to the semi-final battle round. At least half of the choreographed numbers incorporated elements from Chinese traditional culture, from Tai Chi to fan dancing, all very well received by the crowd. Despite the occasional stumble, most of the crews’ performances were high-energy and included a number of impressive moves. This year’s semi-finals featured Fujian’s Jingwumen vs. Guangzhou’s Energy, and Beijing’s X-Power vs. Shanghai’s Dust. Energy and Dust made it to the final round, where, after a close battle, Guangzhou’s Energy was pronounced the winner. Energy first place victory at China’s BOTY means that they will be flown to Thailand to compete in the regional BOTY Asia on August 7th. I wish Energy the best of luck. Take a look at the highlights from the 2008 China BOTY. Kunming’s Hip Hop community is best described as a collection of parts rather than a cohesive whole. While there are artists from each of Hip Hop’s major elements, there is a lack of commonality amongst Kunming’s Hip Hoppers. There are stylistic differences between rap groups, and competition for students between dance crews. Hip Hop DJ’s are forced to compromise their personal music preference to please the unsupportive club owners they work for, and graffiti artists have to look for ways to commercialize their art in order to make a living. It is not that these struggles are singular to Kunming. Competition and financial pressures are issues faced by Hip Hop artists throughout the country, if not the world. But for Kunming, these struggles come without the different benefits that bigger and smaller cities can each offer. In Beijing and Shanghai, competition can often lead to recognition and already existing clubs, events and networks offer artists reliable opportunities. And in smaller cities like Shantou, the stresses of trying to make it as Hip Hop artist are shared, and thus somewhat assuaged, within the supportive, close-knit Hip Hop community. However, the city is home a number of talented and unique artists, and these artists continue to stick with it in order to make a name for Hip Hop in Kunming. Recently there have been some positive steps forward. 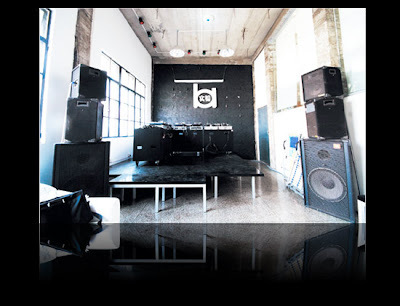 Uprock is a new club that opened up in March of 2008, with the goal of creating a space for good DJs and good music. Kunming-based DJ DSK, a former “battle DJ” in England who has been behind the decks in Asia for the past twelve years, is a manager at Uprock, which means that Hip Hop and Hip Hoppers will be welcomed with open arms. In addition, rap groups Co Op Sol and Green Clan have started to perform together and are testing the waters of a rap collective. As the Hip Hop scene grows, I believe that there will only be more interaction and collaboration between Kunming’s Hip Hoppers. Click here to take a closer look at Kunming’s Hip Hop Community. Over the past three weeks, we have been on the road in Shaanxi and Xinjiang Provinces and have gotten a little behind on the song of week. So this week you get a double dose and a little competition. Many rappers in China lack the equipment, training and/or knowledge needed to make their own music. 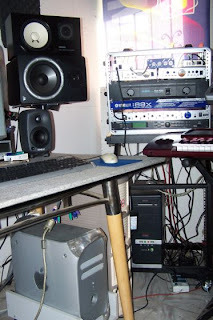 Some set up small studios in their homes or offices, but most work from personal computers. Consequently many rappers download beats off of the internet or rap over instrumentals. We have come across several songs that use the same instrumental but to different effect. So who flipped it best? These two songs use the instrumentals from Tupac "Hit'em Up". Chen Hao Ran "Hello Teacher" / "老师好"
These two songs use the instrumentals from Scarface "My Block". Chen Hao Ran "No Moni, No Friend"
No Fear "What Are You Doing?" / "你在干吗?"